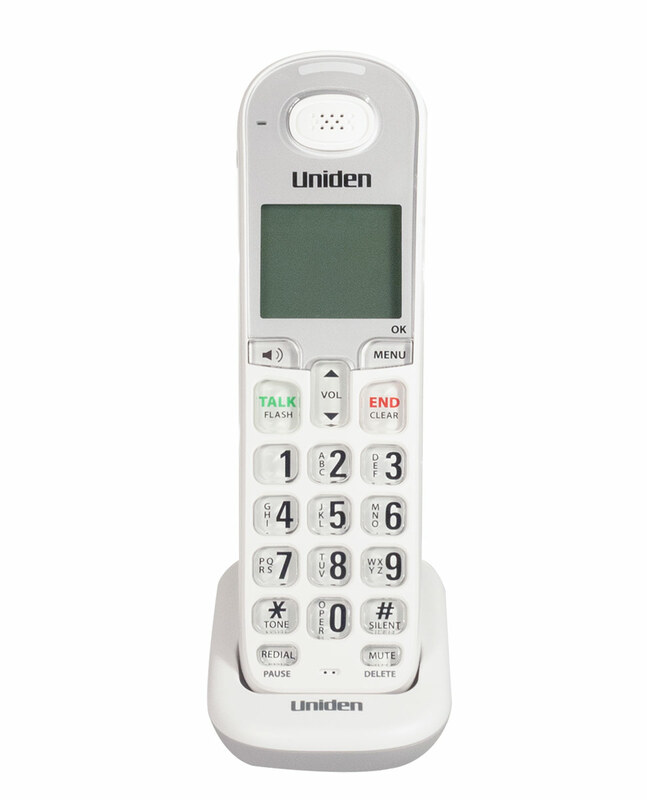 Uniden Loud and clear amplified audio boost 30db cordless handset for use with Uniden D1700 Series, D2300 Series, D3090 Series. Includes accessory handset and charging cradle, AC adapter, rechargeable battery and printed instructions. The accessory handset is designed to work with certain Uniden cordless telephone systems. The handset, which is to be paired with the DECT 3000 series, is equipped with a speakerphone for hands-free communication and 100 name - number phonebook memory that helps you keep track of your most important contacts. You can personalize the banner display on each DCX309 handset, which all carry a 3-line backlit LCD for easy reading. Additional features include 1-line backlit LCD display, conferencing, intercom, and visual flash ringer.